Representatives from the Oman Medical College visited the University of Dundee Medical School today, 29 Nov 2016. The visit was arranged by The School of Medicine International Team to further explore possible collaboration and foster an exchange of teaching ideas between the two Institutions. Professor M P Nair (Chief Finance Officer), Professor Saleh Al Khusaibi (Dean) and Professor Yaseen Moosa Malallah Al Lawatia (Vice Dean) were welcomed and given an introduction to the Ninewells Hospital Campus by Professor Mairi Scott, Professor Rami Abboud, Lesley Lindsay, Dr David Russell, Rachel Cumberland and Victoria Edwards. From left to right: Dr David Russell, Victoria Edwards, Professor Yaseen Moosa Malallah Al Lawatia, Dr Stuart Cable, Professor Mairi Scott, Professor M P Nair, Professor Saleh Al Khusaibi, Professor Rami Abboud, Ms Rachel Cumberland and Ms Lesley Lindsay at the Medical History Museum display at the Medical School. The visitors were given a tour of the University of Dundee Medical School that included visiting the facilities at Clinical Skills, Surgical Skills, IVF, TORT Centre, Library and Lecture Theatres. Left: Mr Paul Christie (Simulated Patient Trainer) showing the delegates around the Dow Clinical Simulation Suite at the Clinical Skills Centre; Right: Mr Gordon Hogg (Course Facilitator) highlighting the facilities available at Surgical Skills. Whilst at the TORT Centre Dr Graham Arnold (Technical Manager) gave a guided tour of the facilities at the Institute of Motion Analysis & Research (IMAR) highlighting some of the leading research projects that have been carried out by students. Mr Sadiq Nasir and Mr Calum MacDonald gave a live demonstration of the 3D motion equipment and visitors where shown some of the results of the biomechanical and sports research carried out at IMAR. Left: Ms Lesley Lindsay guiding the delegation safely through the corridors of Ninewells Hospital en route to the TORT Centre; Right: Dr Graham Arnold (IMAR Technical Manager) showing the diverse array of sports equipment available for research at the TORT Centre. Dr Arnold and Professor Abboud explaining the intricacies of rock climbing footwear to Professor Saleh Al Khusaibi beside the custom-built climbing wall at IMAR. The morning was rounded off with a visit to the Centre for Anatomy and Human Identification (CAHID) where Professor Tracey Wilkinson (Principal Anatomist and Cox Chair of Anatomy) provided a tour of facilities including the Thiel Cadaver Facility, Anatomical Collections and teaching facilities. After a Working Lunch at Taypark House, Mr Usman Arshad (Learning Design Producer) demonstrated the possibilities of e-Learning course delivery by showcasing the PGMoodle VLE site, which included showing the structure of a recent module and some activities and accessing readings and other library resources. Finally, discussions were undertaken concerning the development of the Oman and Dundee partnership going forwards, before delegates were transported to Glasgow Airport for their return flights to the Sultanate of Oman. Professor Mairi Scott (Associate Dean International, Director Centre of Medical Education) stated: “Having been graciously welcomed on a visit to Oman Medical College earlier this year by Professors Saleh, Yaseen and Nair it was a real pleasure to return their excellent hospitality when they came to Dundee. Not only was the sun shining on both visits (albeit one venue was a few degrees warmer than the other) it was quickly apparent that the two schools have much in common and also a lot to learn from each other going forward”. The two Institutions, joined by Dr Susie Schofield, e-Learnign Lead (third from right), exchanging tokens of gratitude. 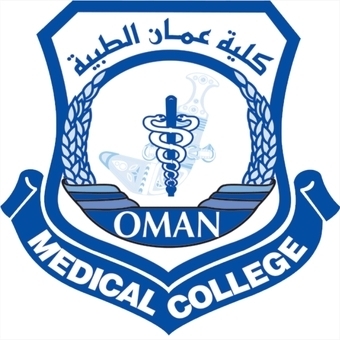 Professor Rami Abboud (Associate Dean for Learning and Teaching and Head of Postgraduate Division, School of Medicine) added: “It was a great pleasure to welcome the delegation from the Oman Medical College to our Medical School and to discuss possible collaboration and consultancy. I hope that the negotiations will lead to a fruitful outcome for both organisations”.